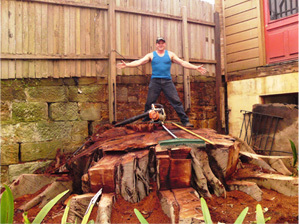 Northern Suburbs Trees is a family owned business that has been operating from the north shore of Sydney for over 10 years. We offer a wide range of tree services needs throughout Sydney, that can cater to all your tree care needs. These include tree removal, tree lopping, dead-wooding, view enhancement, general trim ups, palm tree maintenance, tree pruning, land clearing, chipping, mulching and stump grinding. From the largest tree removal down to the most careful and meticulous pruning, Northern Suburbs Trees are true professionals. We employ fully qualified Cert III Arborists who are there to advise you with all your tree requirements. We are knowledgeable, experienced and committed. We provide a high quality service at competitive prices, whilst ensuring your property and any surrounding properties are left clean, tidy and undamaged. We value and respect the environment and endeavour to create solutions to assist in retaining significant trees.